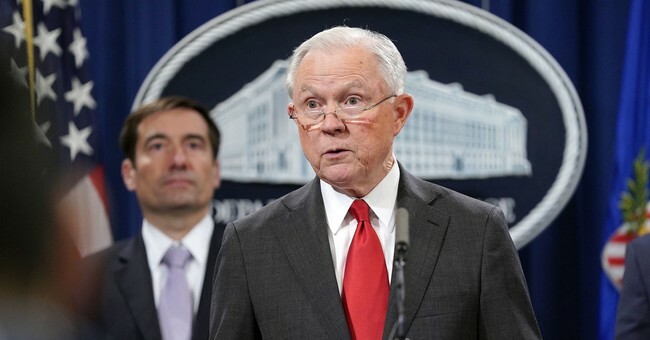 Just hours after the 2018 midterm elections, President Trump has announced Attorney General Jeff Sessions is leaving the Department of Justice. Attorney General Sessions submitted his resignation at the request of President Trump. In other words, he was fired. "At your request, I am submitting my resignation. Since the day I was honored to be sworn in as Attorney General of the United States, I came to work at the Department every day determined to do my duty and serve my country. I have done so to the best of my ability, working to support the fundamental legal processes that are the foundation of justice," Sessions wrote in his resignation letter. "In my time at Attorney General, we have restored and upheld the rule of law --- a glorious tradition that each of us has a responsibility to safeguard. We have operated with integrity and have lawfully and aggressively advanced the policy agenda of the administration." "I have been honored to serve as Attorney General and have worked to implement the law enforcement agenda based on the rule of law that formed a central part of your campaign for the Presidency." President Trump has been unhappy with Sessions for nearly two years after he recused himself from the Russia investigation. Trump has regularly berated the former Attorney General on Twitter, despite Sessions being the first U.S. Senator to endorse him during the 2016 presidential election. During a press conference at the White House Wednesday, President Trump said he is satisfied with the performance of "most of his Cabinet," but left room for major changes in the coming days and weeks. This is one of them. With a larger majority in the Senate, a replacement for Sessions will have an easier time getting through confirmation. You can read Sessions' full resignation letter below.